I've always loved TR's break on "The Bluegrass Suspects" album. 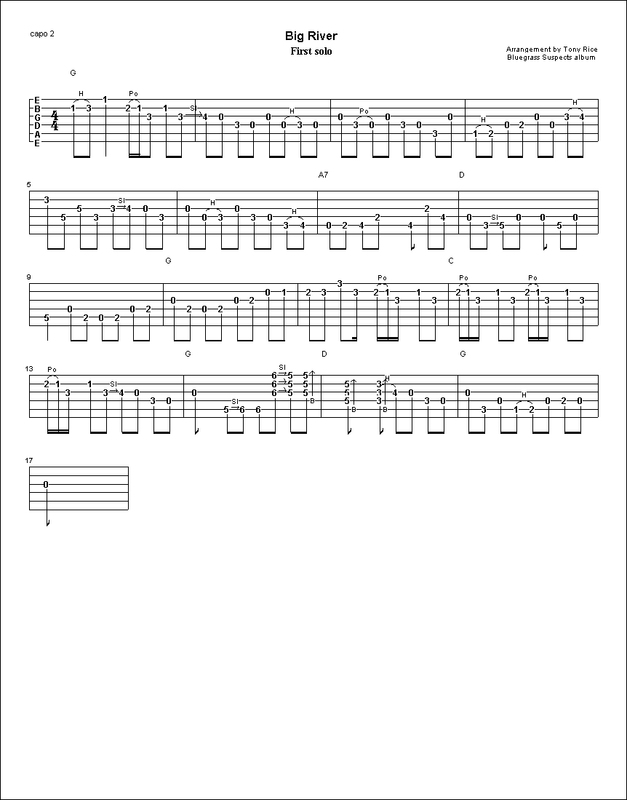 I have the full first solo, and the second solo, albeit the first section measures 1-8 of the second solo contain my own licks. 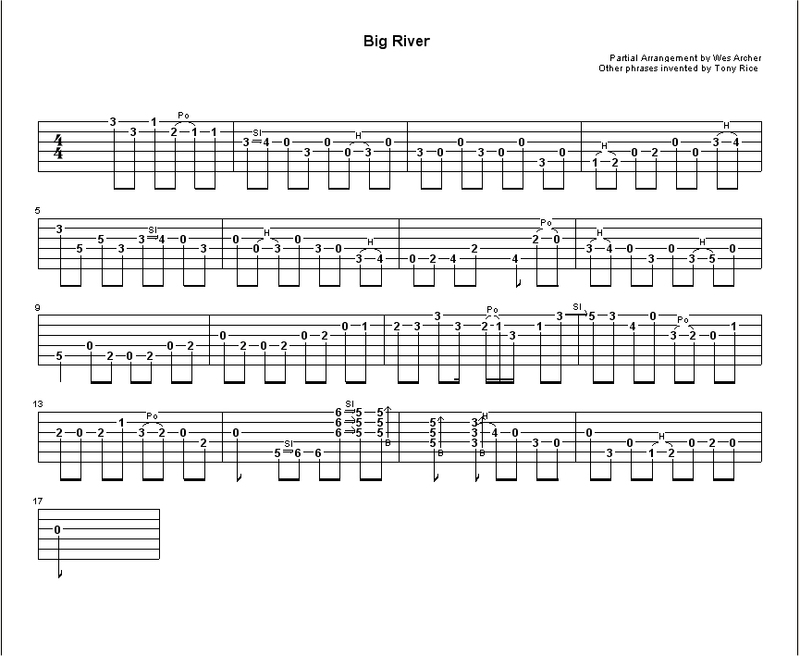 Tony plays a rythmic pattern for the first part of the second solo, so I just filled that in with some notes instead. Look at the phrase at measures 14-15 on both solos, and then LISTEN to the actual recording. The way Rice pulls this off is simply amazing, almost sounds like he's not even playing a guitar, but some other instrument. I'm fairly confident this is what he is doing.